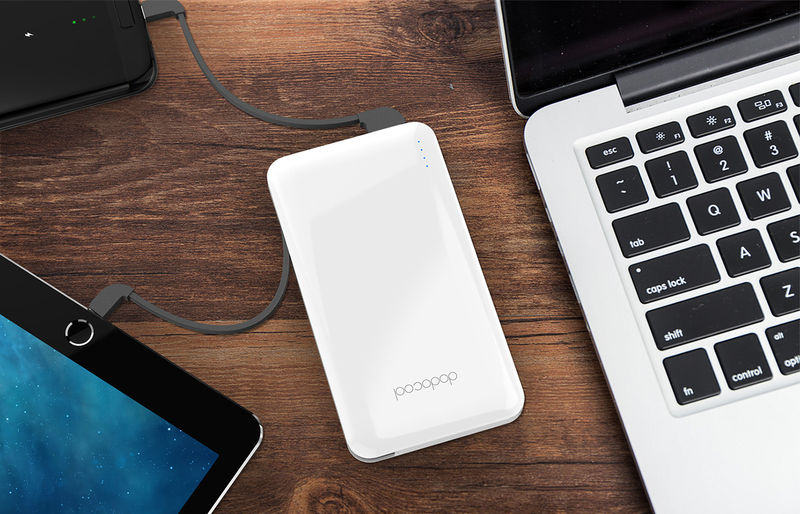 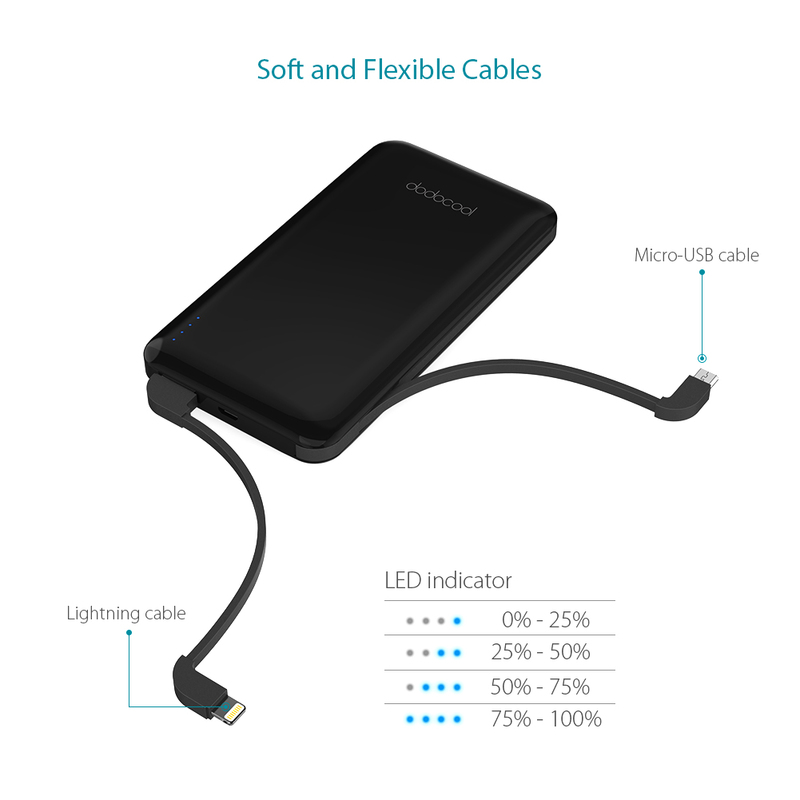 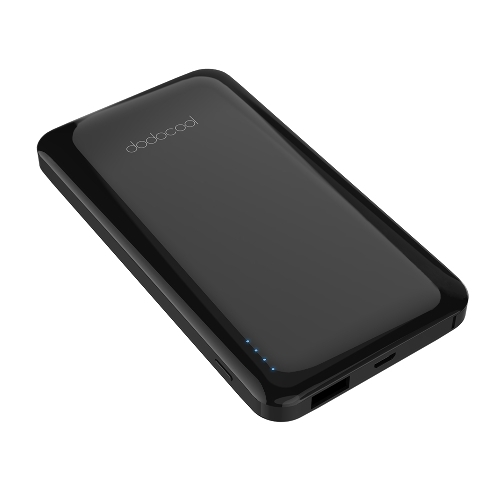 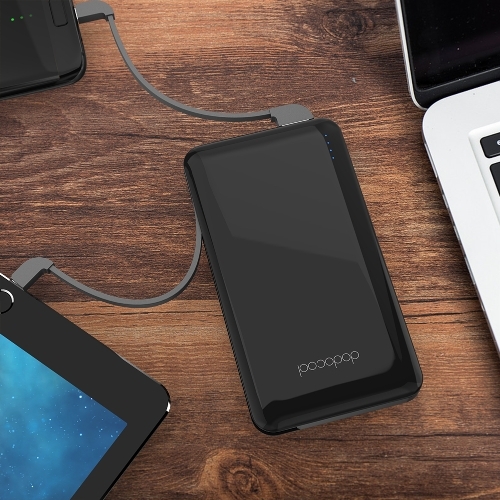 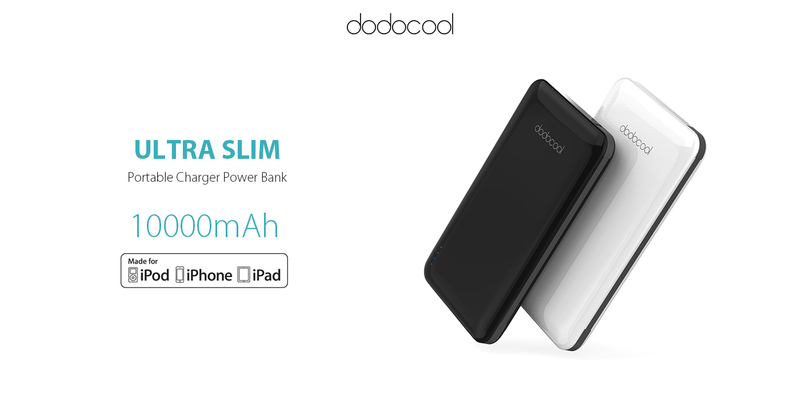 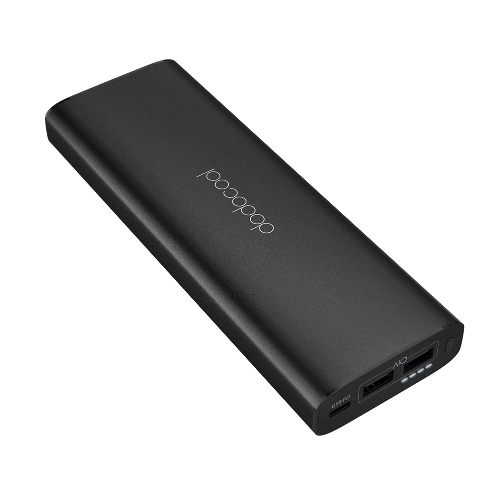 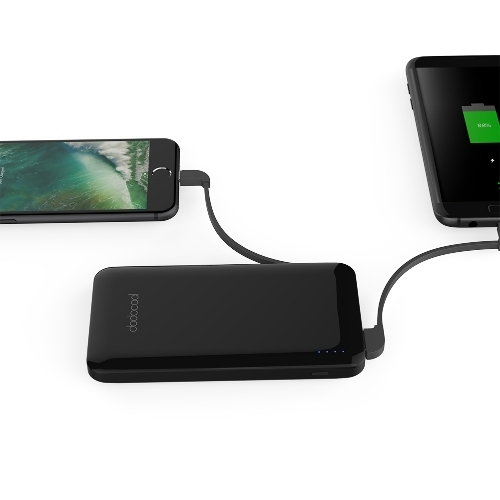 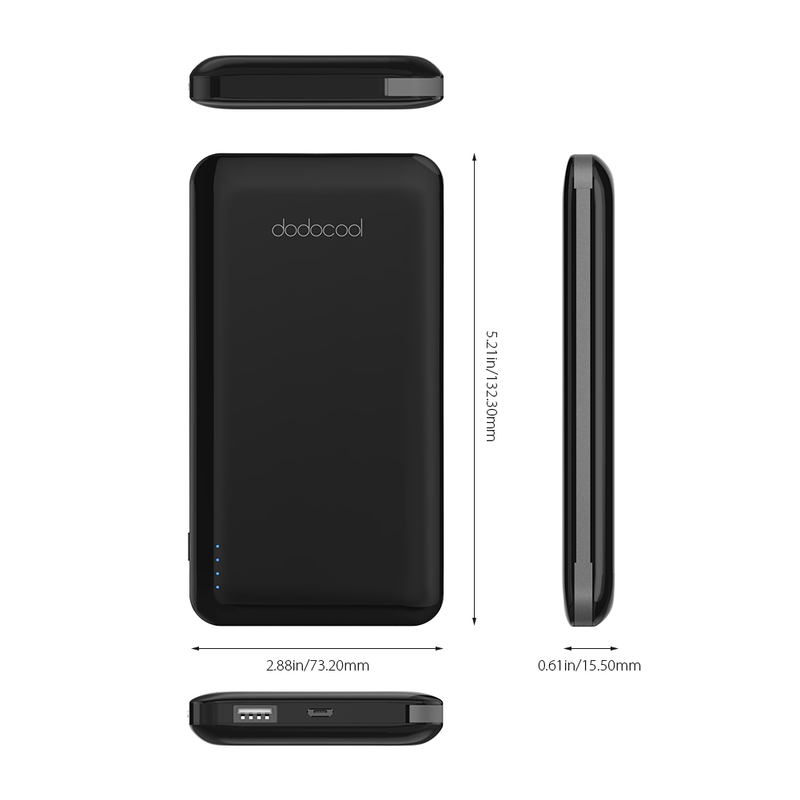 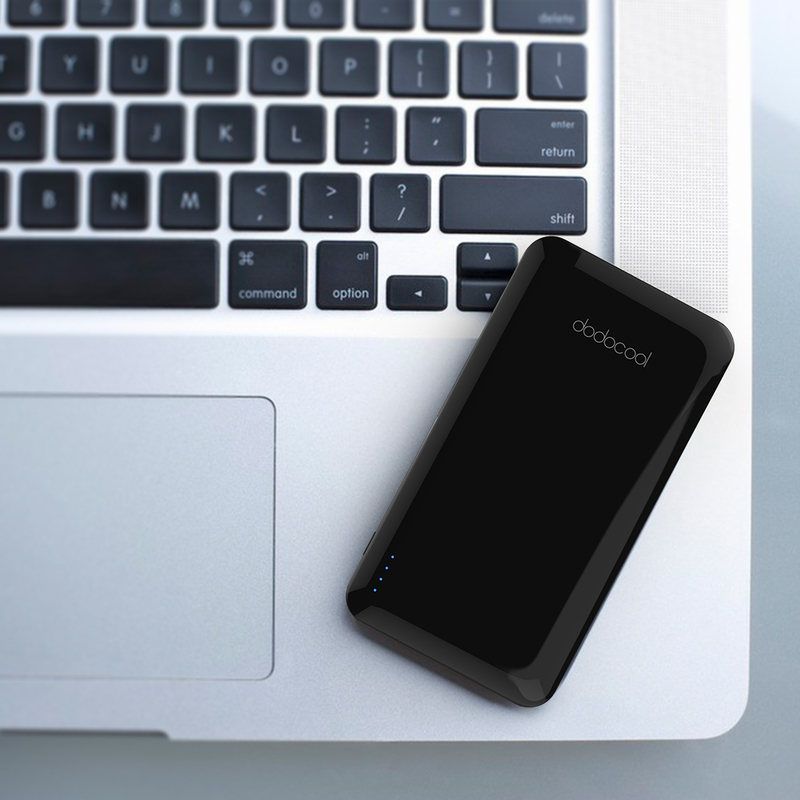 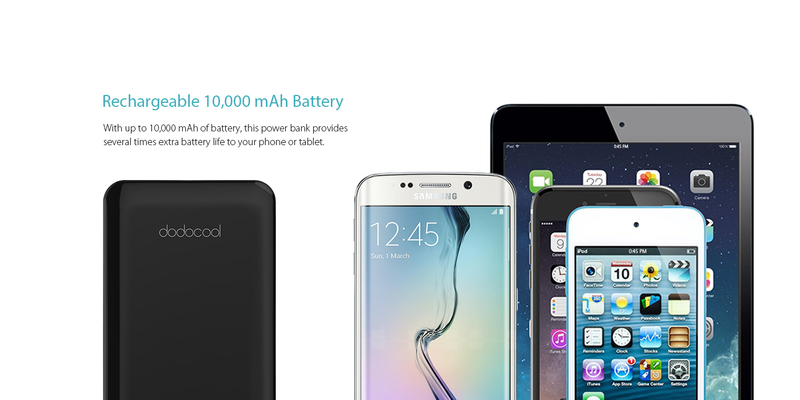 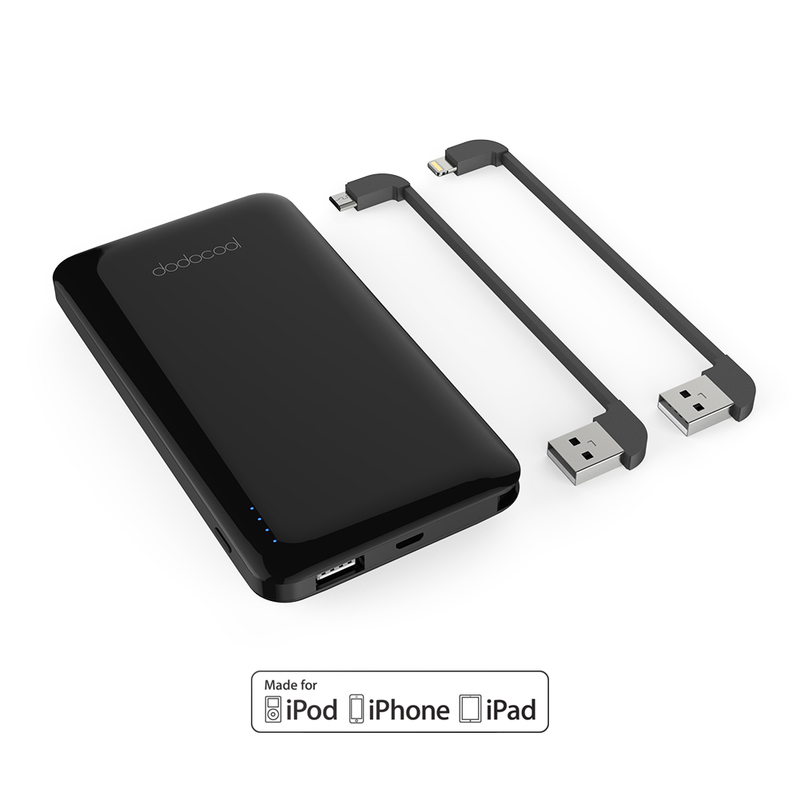 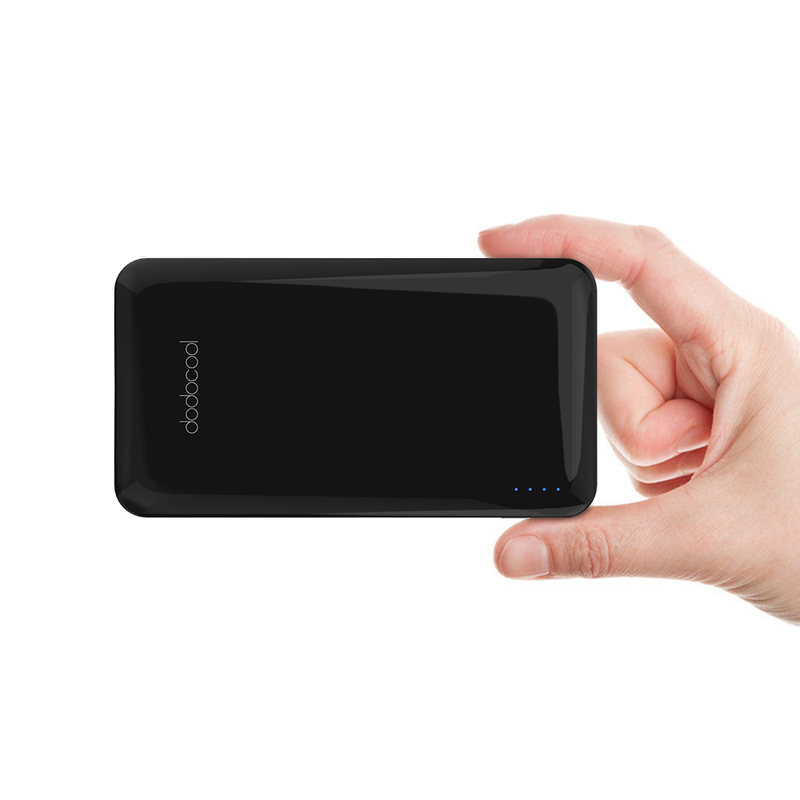 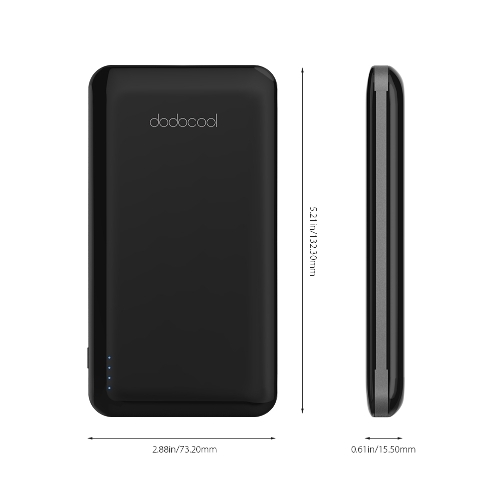 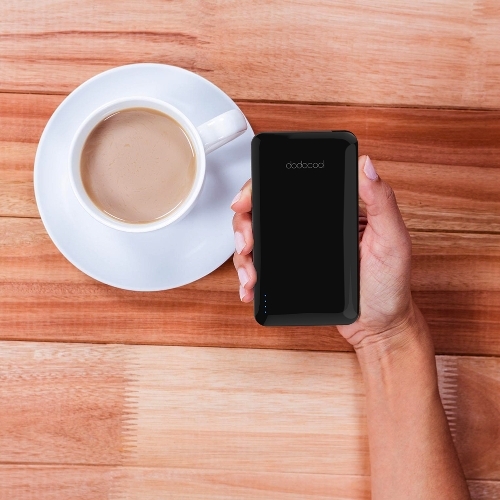 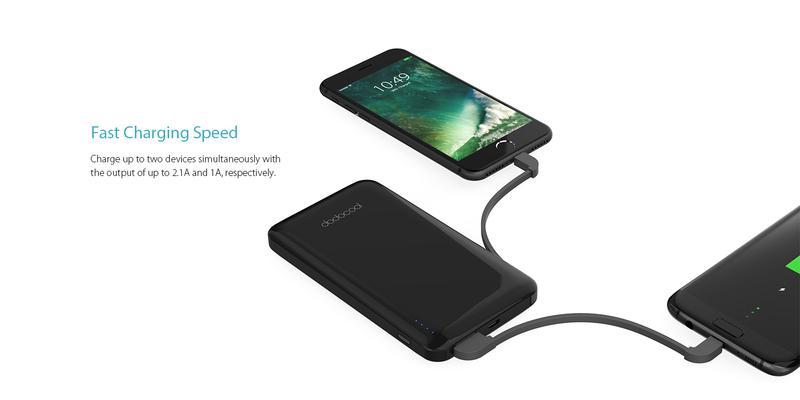 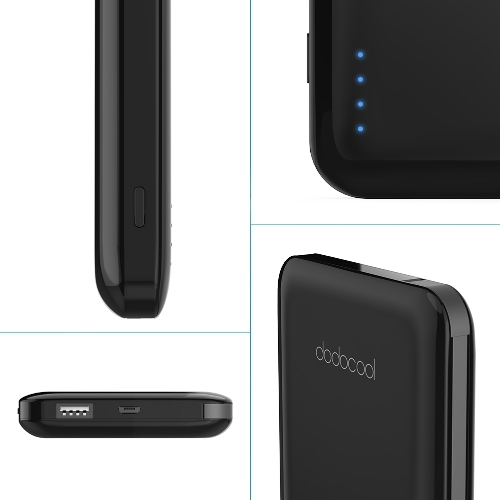 dodocool 10000 mAh Portable Power Bank delivers additional power to your devices to keep them charged when you need them. 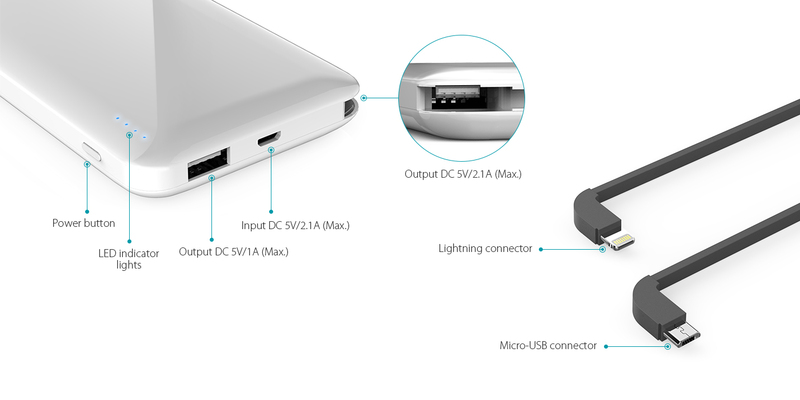 Dual USB output ports allow two devices to be charged simultaneously. 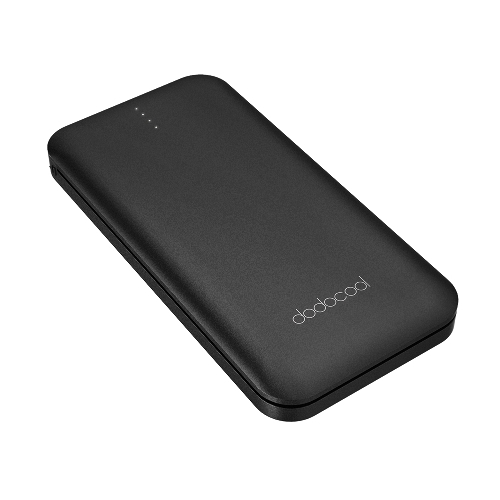 Compact and lightweight design enables you to take it with you wherever you go. 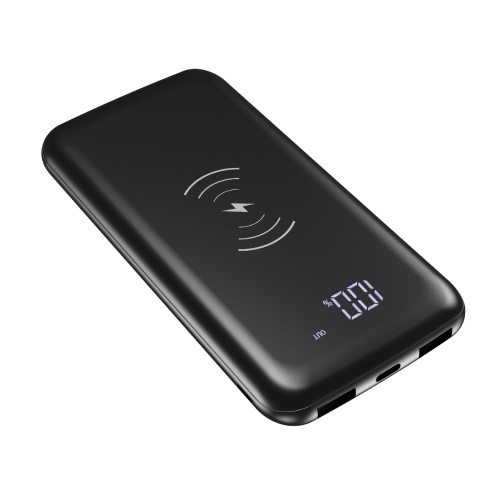 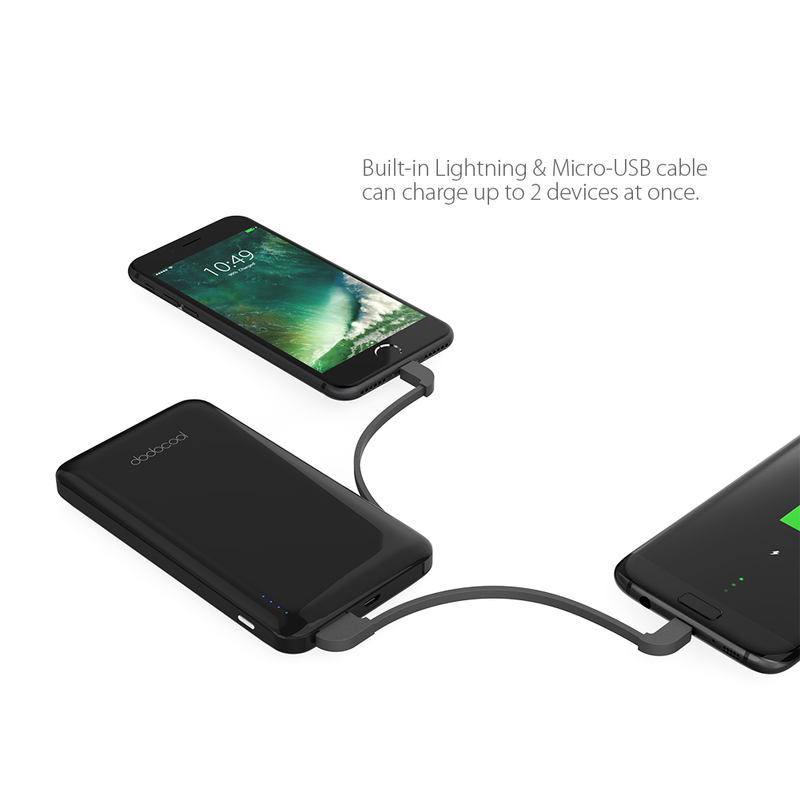 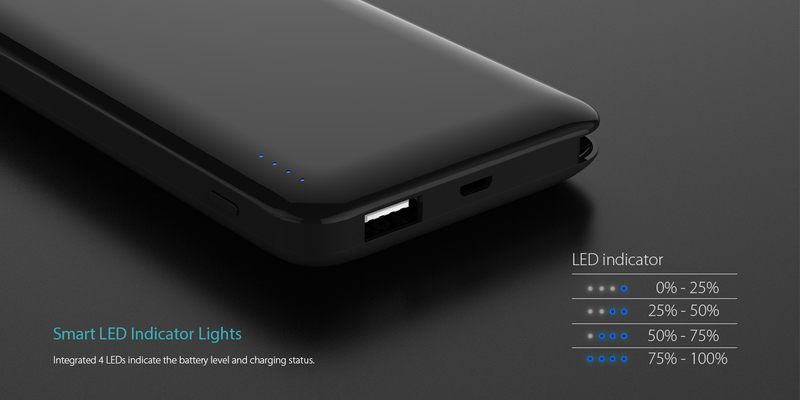 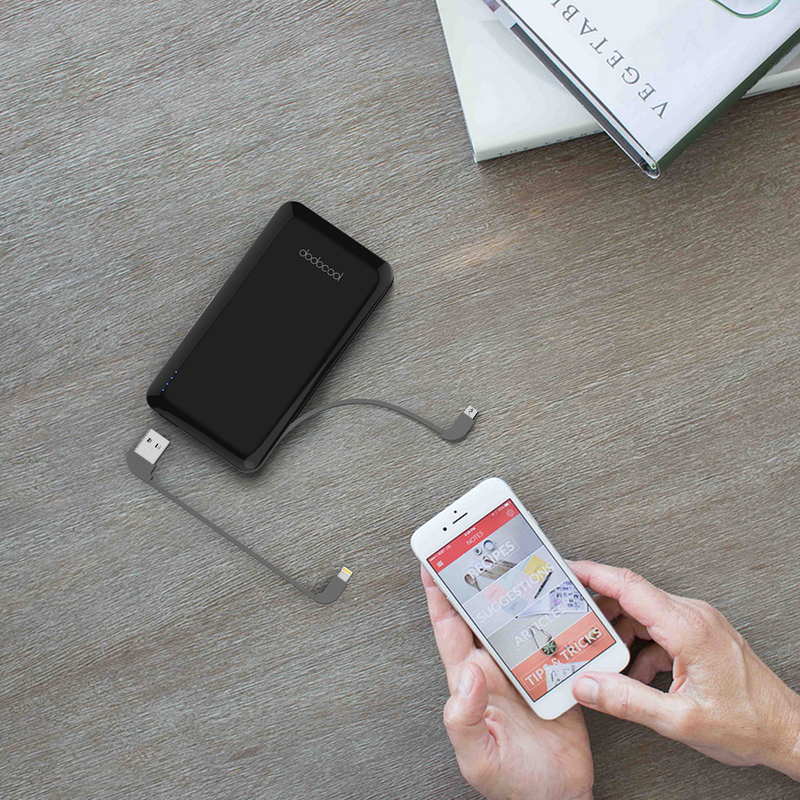 With up to 10,000 mAh of battery, this power bank provides several times extra battery life to your phone or tablet. 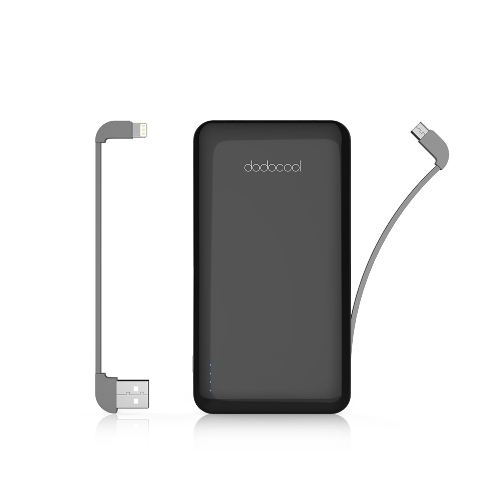 Fully recharged in about 5.5 hours with the included Micro-USB cable. 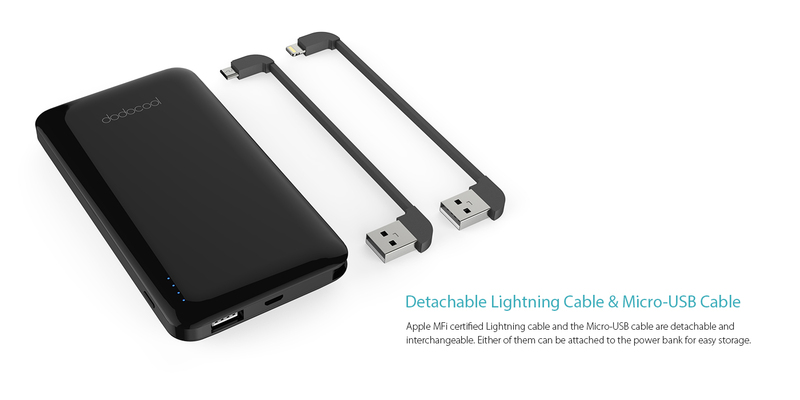 Apple MFi certified Lightning cable and the Micro-USB cable are detachable and interchangeable. 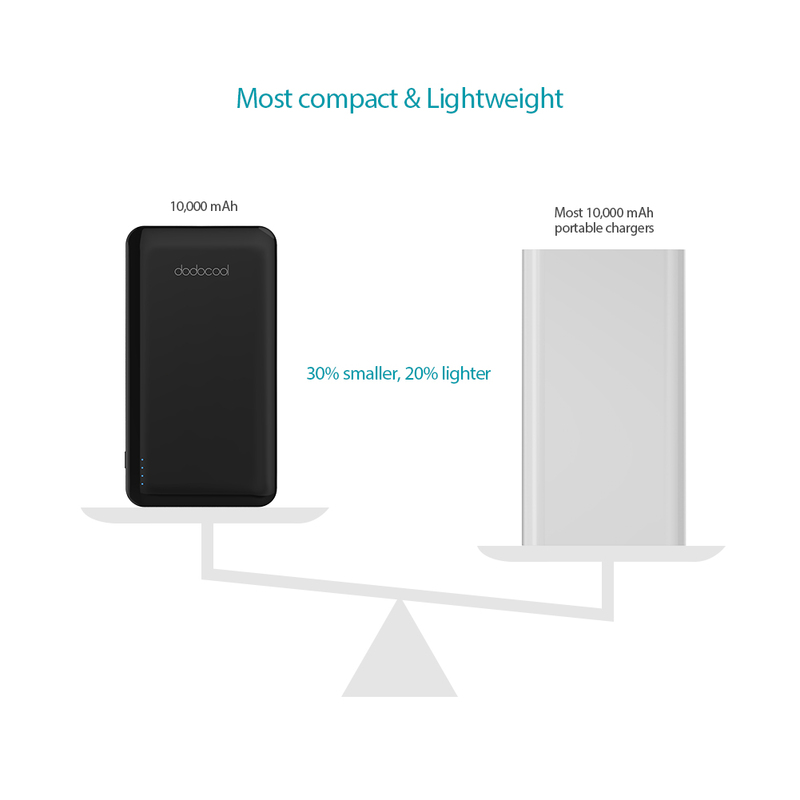 Either of them can be attached to the power bank for easy storage. 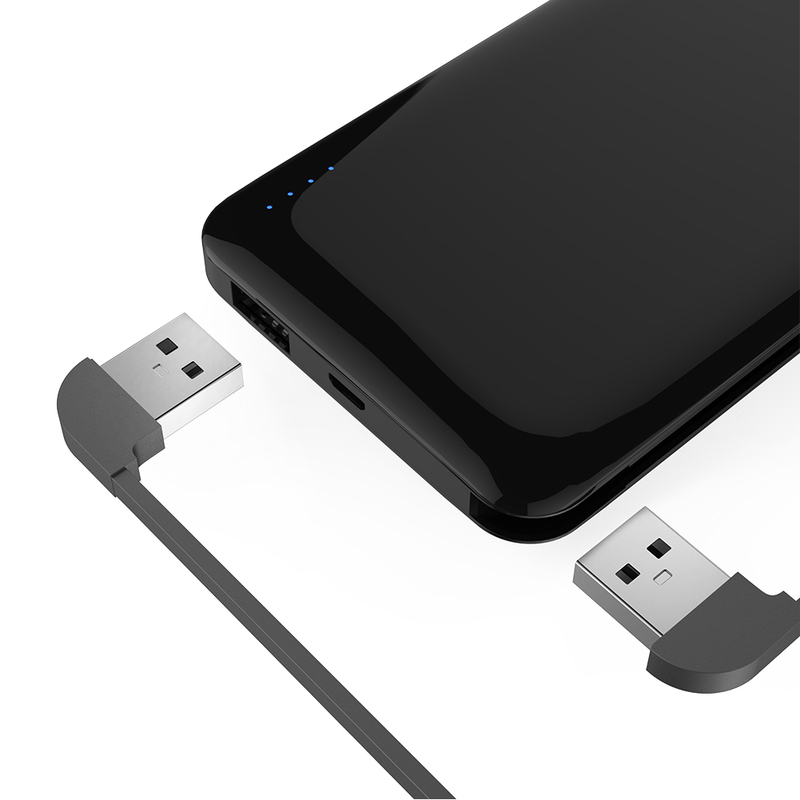 Dual USB ports (output up to 2.1A and 1A, respectively) enable you to charge two devices simultaneously with a total output current of up to 3.1A. 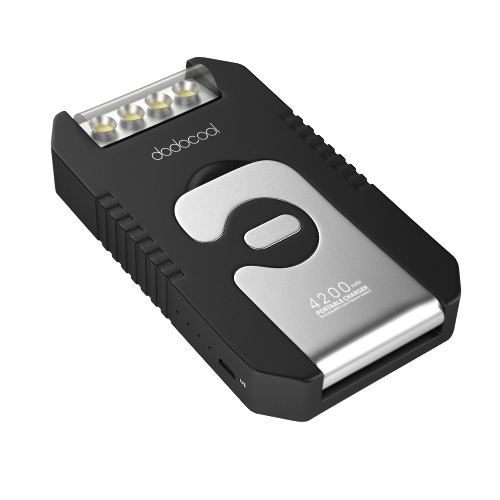 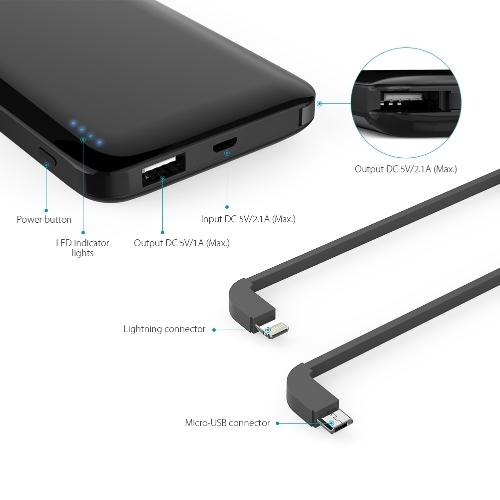 Compatible with most smartphones or other mobile devices with a Micro-USB port or Lightning port. 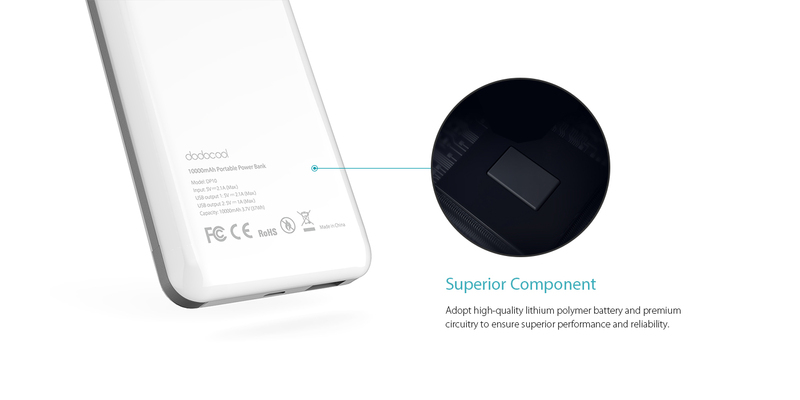 Adopt high quality lithium polymer battery and premium circuitry to ensure superior performance and reliability. 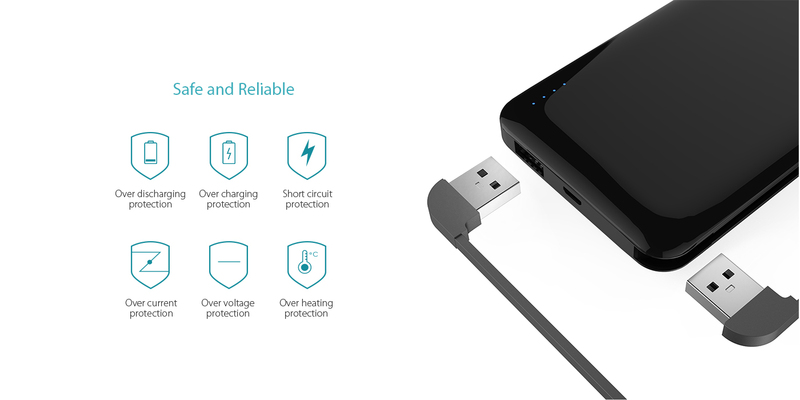 Short-circuit, over-charging, over-discharging, overheating, over-voltage and over-current protection keeps you and your devices safe. 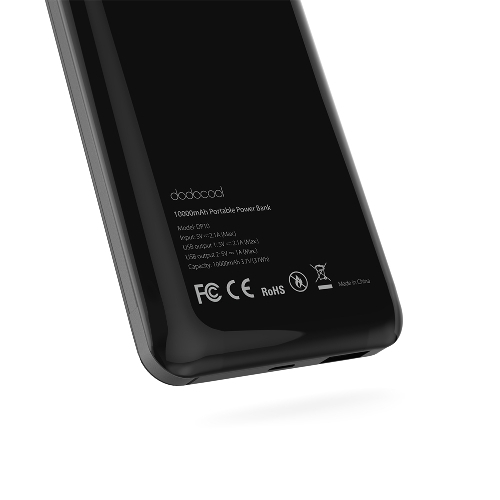 Integrated 4 LEDs indicate the battery level and charging status. 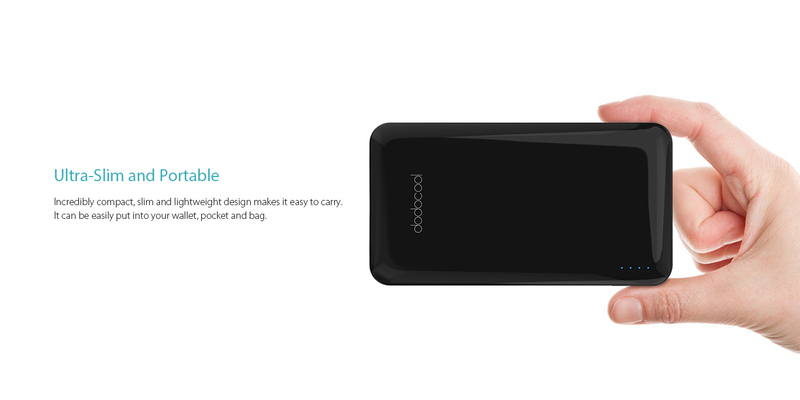 Incredibly compact, slim and lightweight design makes it easy to carry. It can be easily put into your wallet, pocket and bag.